First published 2017 in the Miss Fortune Kindle Worlds program. Fortune, Ida Belle and Gertie are baffled by a mysterious midnight construction project and they turn to the Mob for assistance. Meanwhile, a dark and blurry photograph puts the entire town on high alert, and the election recount goes Sinfully haywire. It's all fun and games until bodies start turning up... and Fortune might just be the next victim. Fan Fiction: works written by adoring fans of the original author, using the original author's characters and settings. 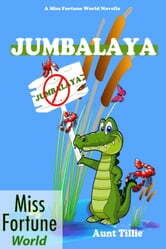 Jana DeLeon has graciously allowed certain authors to write in her world and Aunt Tillie is proud to be one of them. 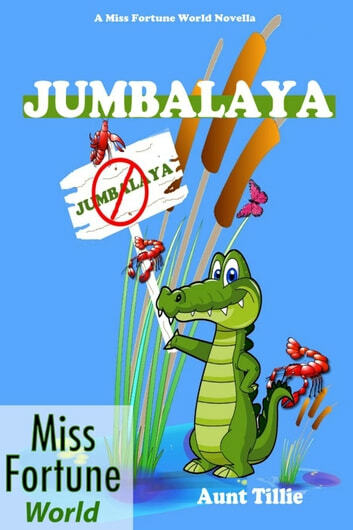 Jumbalaya was Tillie's first effort, and she hopes you will enjoy this and other stories by fan fiction authors. The timelines for these stories may not coincide with current Jana DeLeon stories, but they should fit almost anywhere within the Miss Fortune series. Great read and I loved all the twists and turns. Another great new writer for me, and this book left me definitely wanting more.